Our next event |Brews & Beats| is simply all of these things. Creative, curated, inspired, and coffee-related (because let's not forget, this is our first love). BUT, if coffee is not your thing, these cocktails will have you reeling in disbelief or dancing your happy dance - they're really good! Just imagine, Revolver on a quiet day... well, it's closed on Sundays, but it’s mecca-ness reputation in Vancouver coffee made it an awesome place to share coffee. One of our goals is to share coffees in interesting venues throughout the city and this is a very special one for me. We wanted to wait for you, yes all of you. Labour day came calling and your little heart went wandering to the island or the mountains; wherever your heart took you, even if it was in Vancouver, we hope you're rested and ready! So it has been one full-day since we had bitchin brews on the beach, or it’s been a few days. 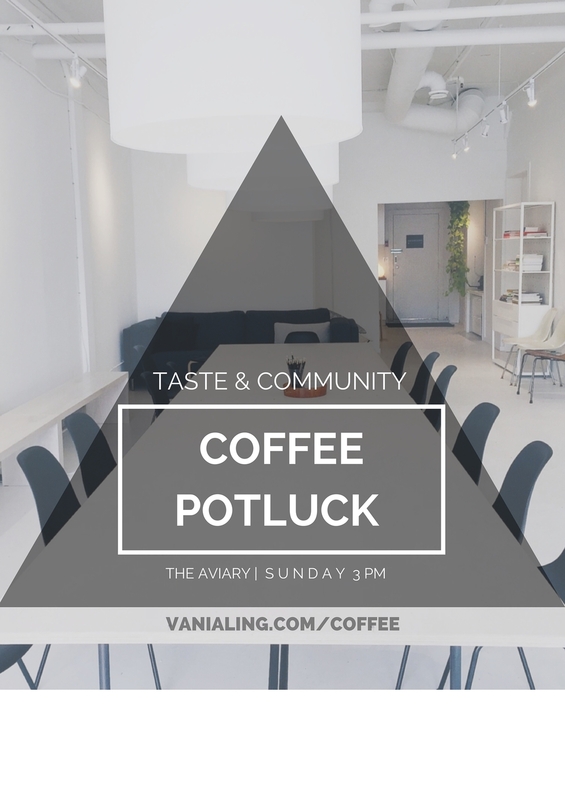 We are keen to kick back into our schedule of First SUNDAY-of-the–month–Coffee Potlucks. If you’re wondering why we do coffee potluck, or who we are and what we’re trying to do I recently put together a one-pager to say “HEY world, this is what we do”. 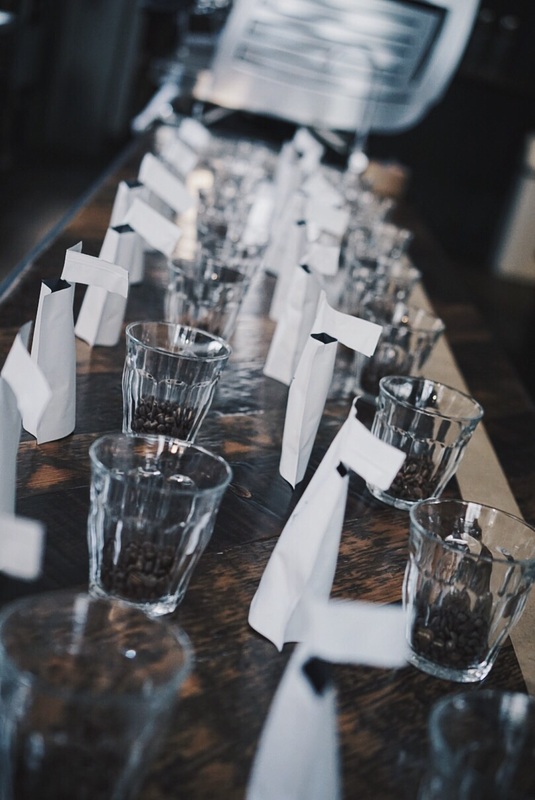 This Sunday, the 7th of August will be an exciting exploration of coffees on the long table at Archive. We’ve cupped and we’ve tasted, Espro brewed for us in May and now we can taste the rainbow on the Hario V60! Bring some coffee beans to share or a food donation for the food bank. Kris Wu will guide us through this exclusive tasting of elusive coffees and chat with some of the knowledgable GOP (group of professionals). We are headed to Alibi Room for a bit of beer after the tasting. What | Long-table-tasting — i mean, I said long table. So you’ll be there right? If you’re into summer and you like the beach, we’ve asked a few local cold brew makers to offer up their product for us to dabble in. What you will need, bring a cup, and as always a little bit of (coffee) cold brew to share with the group and come hang out on Spanish Banks with us. We tasted a number of coffees and Andrew from East Van Roasters pulled out all the stops by showcasing 3, count-em', three single origin chocolates roasted from bean to bar at East Van Roasters. Wherever your life may have started, and whatever its purpose, there is a place for you at BREW UNIVERSITY. Embrace your inner brewing abilities next Saturday at our pilot launch. Have grace for yourself, but keep learning; to read, lead, and repeat. Have you ever had any questions for a green buyer? If you dream about going to origin and seeing what it's like on the ground this Q&A gives you great insight. If you have a case of the #FOMO's because you missed out on our first community tasting in Vancouver, get in touch and we will get you in for the next one. First Sunday of the month going forward, we hope to host coffee tastings at various locations around town. Recent news of Luke's departure from Vancouver is quite the devastation to the coffee community in Gastown. Today we celebrate women in coffee.